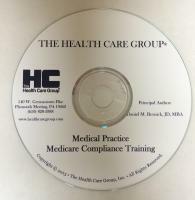 This Medicare Compliance Training material is a ready-made module to provide compliance training, both for managers and staff. The slides with audio include an extensive regulatory review presentation, and then an interactive quiz to test knowledge (with answers provided). System requirements: PowerPoint Viewer and speakers. If you do not have PowerPoint Viewer, you may download it for free to your computer from Microsoft's website. You may copy and paste the below link into your web browser. Please choose the version that best suits your computer by reviewing the system requirements before downloading.